The programme Ksetra Sampada or regional heritage of the Indira Gandhi National Centre for the Arts (IGNCA) envisages studies of specific cultural areas taking into account the process of interlocking devotional, artistic, geographical and social aspects. One area identified for such an integrated study was Tanjavur in South India. In collaboration with Ecole Francaise D' Extreme--Orient(EFEO), Pondicherry, IGNCA launched a comprehensive project to investigate the multi-layered and multidimensional personality of the Brhadisvara temple at Tanjavur. 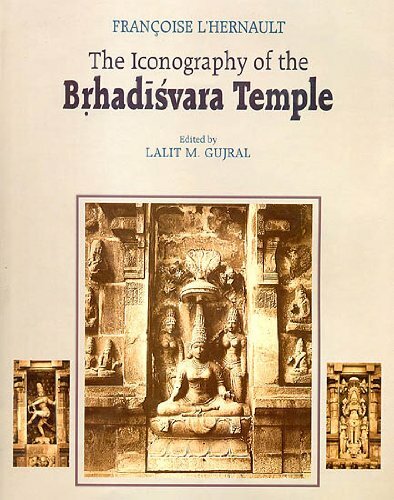 This in-depth study of the identified area and monument resulted in the publication of Tanjavur Brhadisvara: An Architectural Study, by Pierre Pichard, in 1995. One of the inter-related modules of the project coordinated by Dr. R. Nagaswamy, includes iconographical study of sculptures, stone reliefs, bronze images and mural paintings. Accordingly, Dr. Francoise L'Hernault of EFEO undertook the task of photo-documentation of the icons of the Brhadisvara temple. She completed the assignment in 1994, and based on nearly 600 photographs of the icons, she prepared this monograph as a catalog for the identification of the iconographical forms on tbe Brhadisvara temple. Dr. Francoise L'Hernault passed away in 1999 at Pondicherry.